Download Pizza Box Mockup Free PSD. If you are working on pizza shop branding and packaging design project, then this Pizza Box Mockup PSD will provide you the product packaging mockup template to present you design in style. A classic plain cardboard pizza box on a wooden table along with other elements suitable for showcasing any pizza shop branding. 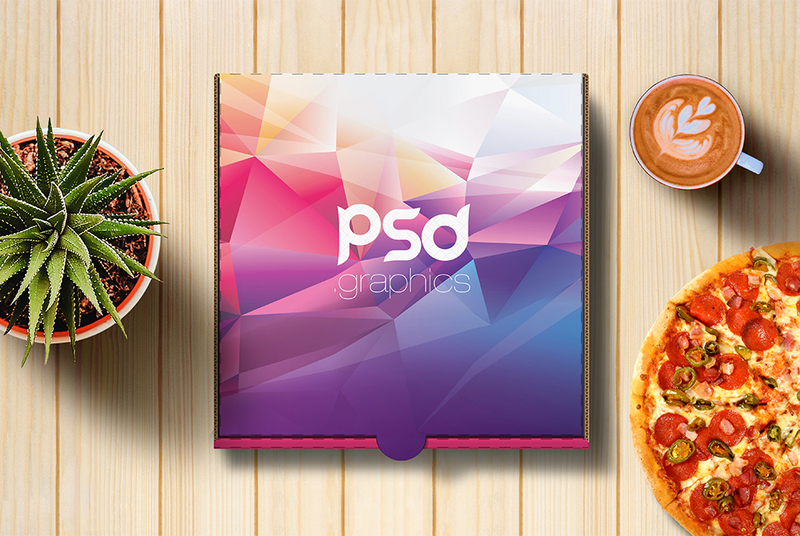 This Pizza Box Mockup Free PSD can be good for showcasing your design portfolio as well. You can easily adjust the shadow, lighting every individual element or change the background color with few simple clicks. Just place the artwork of your final pizza box packing design inside the smart object and you are done. Hope you like it. Enjoy!